For the past three weeks I have been visiting family and friends in England ,so apologies to my fellow bloggers for the lack of entering new posts here on my blog. I will now bring you up to date with what I accomplished, albeit I did not have enough time to do and see everything I wanted to. For instance two of my school friends I planned to meet up with could not make the journey on the day I had planned as both mine and their schedule was pretty tight. Although my family usually come to Crete for their holidays with me I had decided to visit them in England for a change, apart from the fact Crete at this time of year is very hot so the cool weather in England was much appreciated, even the rain. Of course yes ! I was being spoilt by family in more ways than one and it was great seeing my grand daughters even though we see each other every year, they grow so quickly. I spent quality time with old neighbors I had not seen for almost twelve years and we had laughs about their involvement at the time I was making my historical Roman Sauces as they were volunteers for the tasting sessions, which I am sure you all know about by now. My dear friend Ginny whom I have known for 30 years was the first archaeological person I worked with ,we had a great day together going over old times about archaeological sites we worked on. I had arranged to meet up with another special friend Anette, from the days when we were in the antique trade so much to catch up with, you can imagine our tongue’s never stopped wagging but it was great to see them. One of the highlights of my holiday was meeting up with Gillian Mawson whom some of you may know, she is the author of the now popular book about the Guernsey Evacuees during WW ll an interest we share because I was an evacuee myself during this time. It was the first time we have met other than on the internet so we were quite excited as we had so much to talk about, which we did over lunch at the Birmingham Museum and Art Gallery a place we had planned on visiting in order to see the wonderful collection of the Renaissance paintings. Whilst at the Museum we discovered there was a special exhibition of machines which neither of us had ever heard of and had no idea what they were all about, so we decided to browse a little further where we thought there was only one room but to our amazement there were three rooms full of these wonderful comical looking machines. 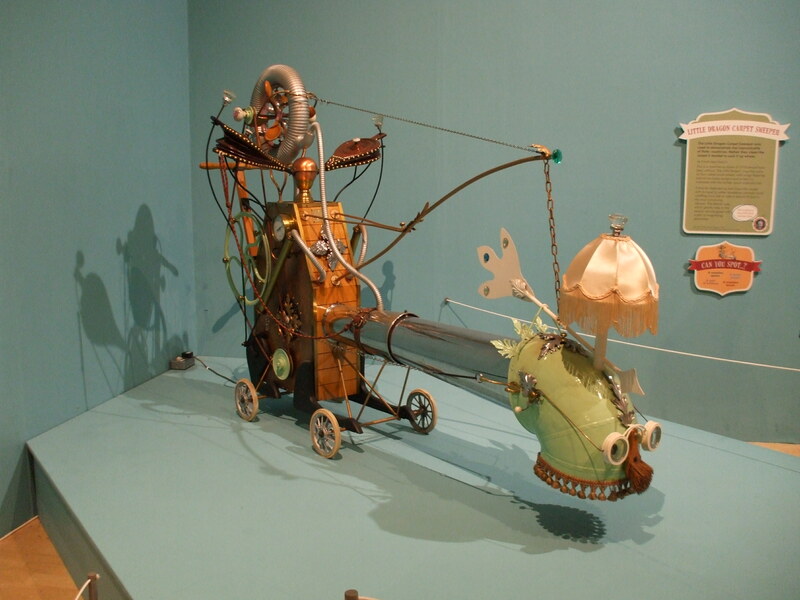 The exhibition was all about Rowland Emett an English inventor of whimsical machines. 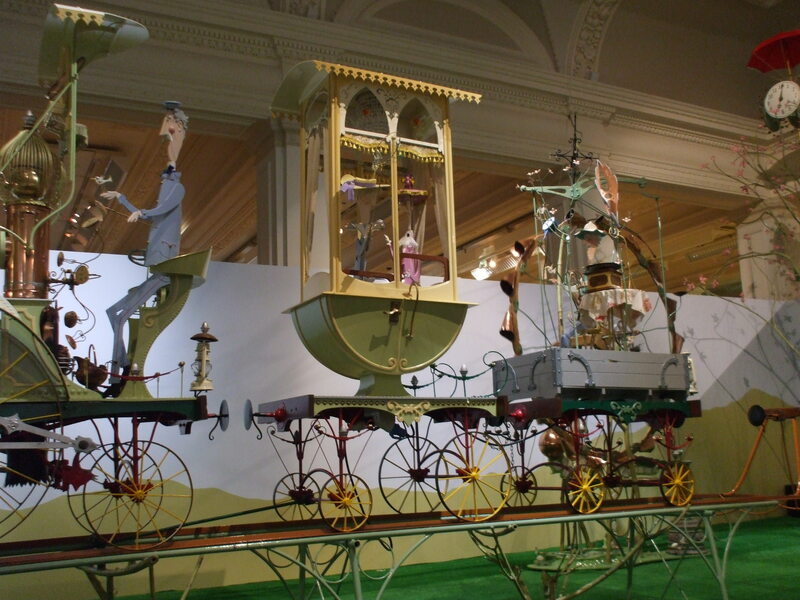 There were fantastic flying machines and a bicycle for flying around the moon and the wonderful Chitty Chitty Bang Bang . 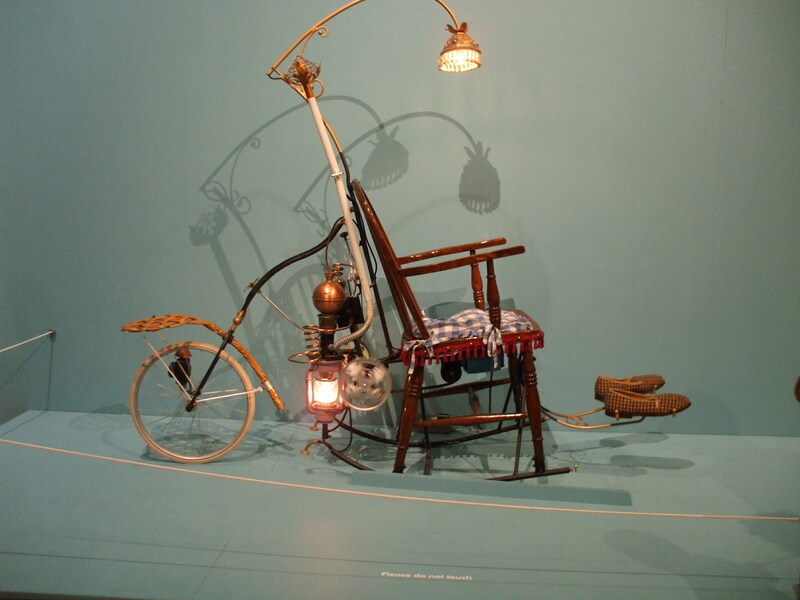 A carpet sweeper, a rocking chair among many others all worked by mechanical devices built by Rowland himself. It was a truly superb exhibition. 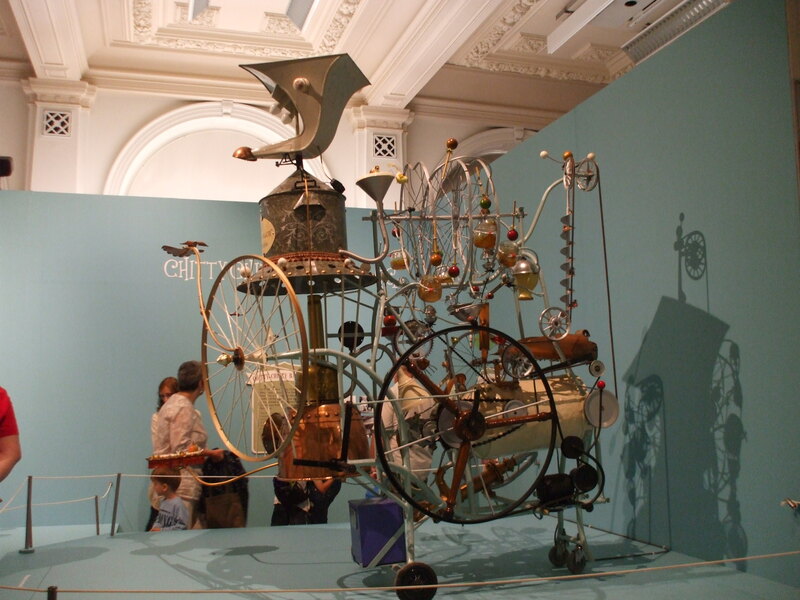 Below are some pictures I took of Rowland Emett’s wonderful machines. This machine was showing a film at the front. The Rocking Chair…..Love the slippers. The railway was fantastic. 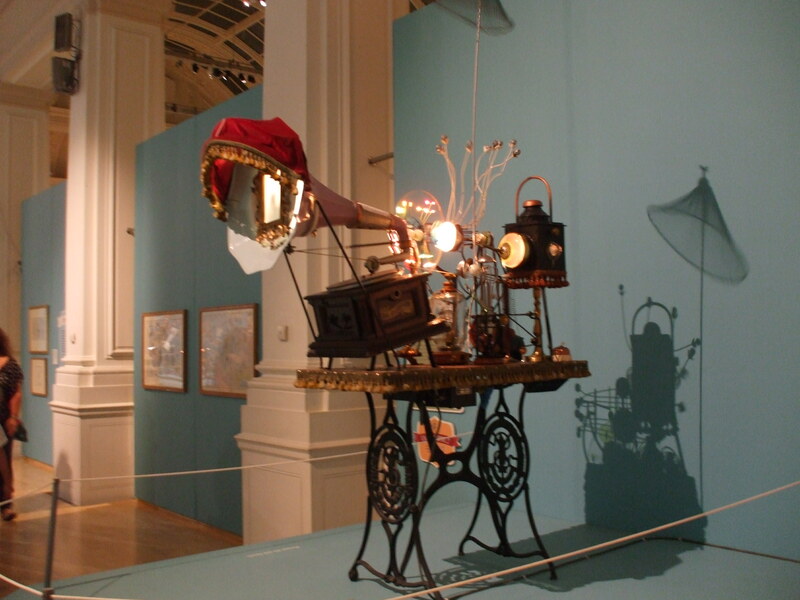 Of course there were many more of these exhibits but this gives you an idea of this wonderful exhibition at the Birmingham Museum and Art Gallery England. What a day we had Gill . 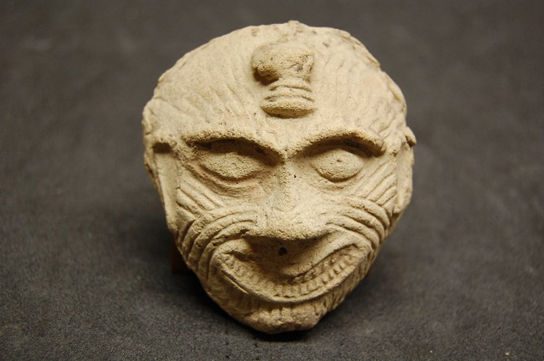 My job is to assess the condition of the objects from Ur being studied as part of the Ur digitisation project, conserve them if necessary, and guide the project team on handling and safe storage of the objects before/during photography and further digitisation work. 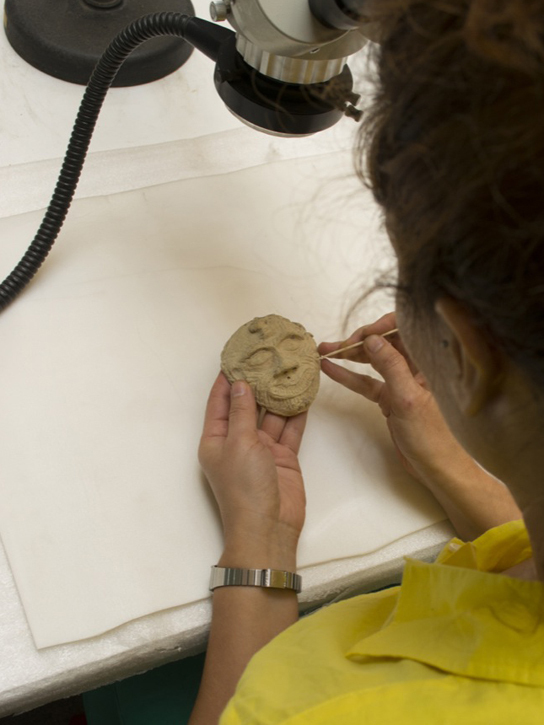 I joined the project in August 2013 to lead the conservation and my first responsibility was to assess and conserve the terracotta objects and the clay tablets with ancient cuneiform inscriptions on study loan from Iraq.